International Journal of Research in Health Sciences,2014,2,3,939-942. 1,3-Junior Resident, 2-Assistant Professor, 4-Registrar, 5-Professor, Department of Surgery, Regional Institute of Medical Sciences, Imphal, Manipur, INDIA. One of the presentations of undescended testes is presenting as an intra-abdominal mass. We present a case of 34 year old male coming to outpatient department with complaint of abdominal lump and swelling in the left inguinal canal. 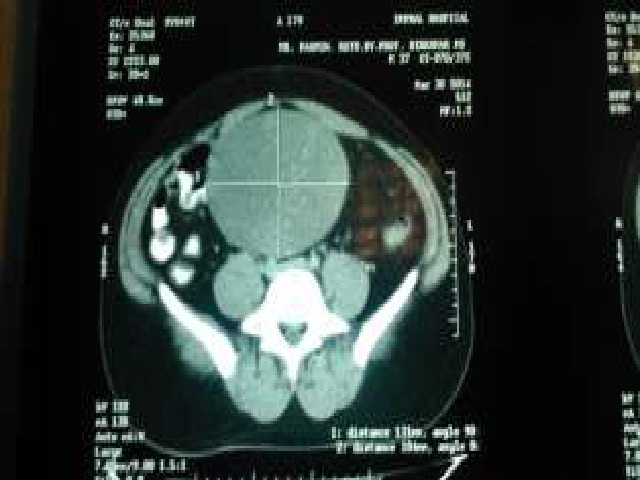 Clinical diagnosis of mesenteric cyst with left undescended testes was made. On laparotomy the abdominal lump was found to be intra-abdominal testis and inguinal swelling was omentum. Histopathological examination revealed features of seminoma. The treating surgeon should be aware of unusual presentations of undescended testes. The routine use of laparoscopy in all cases of undescended testes for proper preoperative diagnosis recommended where ever it is available.